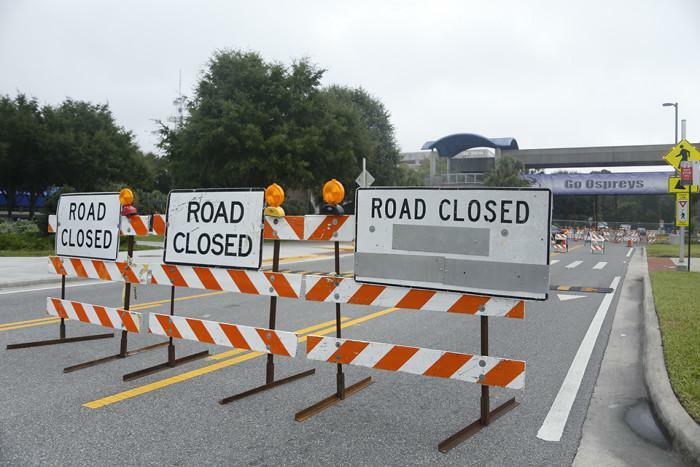 UNF Drive near the UNF Arena is currently closed to through traffic. 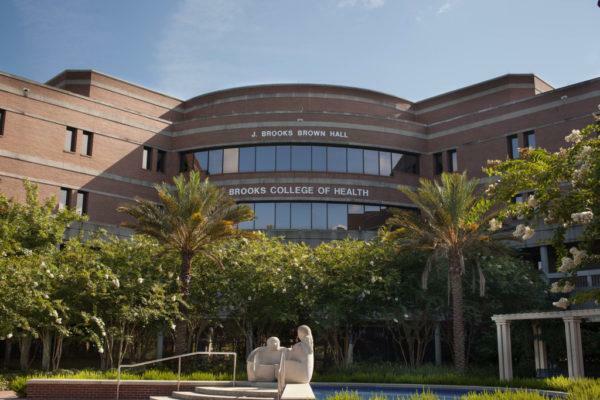 UPDATE – 8/3/15 at 11:54 a.m. Crew UNF officials inspect the overhead walkway’s structural integrity. 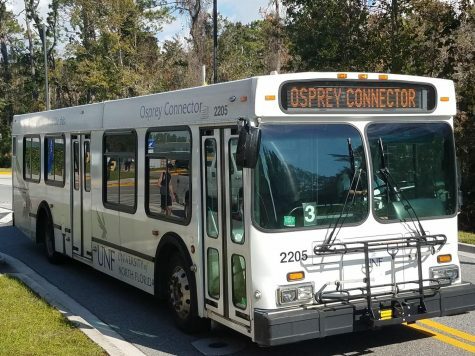 UNF Drive will be closed to through traffic near the UNF Arena on Aug. 3 until further notice, according to an Osprey Update released this morning. 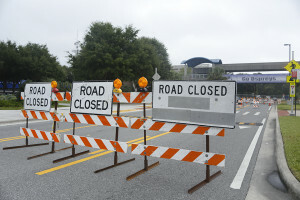 The overhead walkway and crosswalk connecting the UNF Arena (Bldg 34) to the Arena Parking Garage (Bldg 38) will also be closed for investigation until further notice. UPDATE – 7/24/15 at 12:11 p.m. 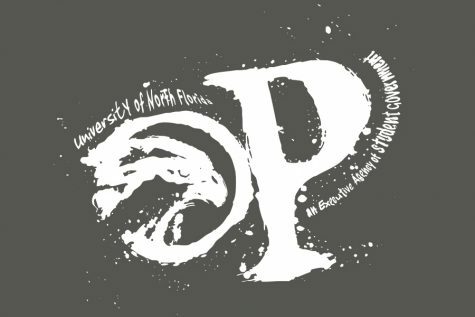 Structural engineers are working to determine the damage of the UNF Arena walkway and cranes will be brought in today, according to an Osprey Faculty and Staff Update released at 11:31 a.m.The closed off area will be expanded to accommodate the cranes. 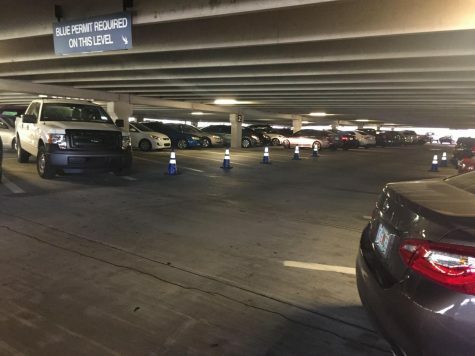 According to the Update, parents who pick up their children from summer camp will be directed to enter the Arena Parking Garage. This will result in traffic delays this afternoon for faculty and staff who park on the first floor of the garage. 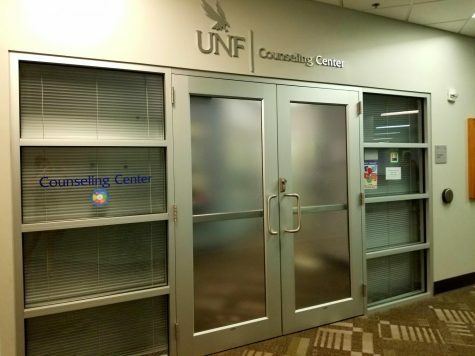 Crews will work on the walkway this weekend, and UNF Drive will be closed to through-traffic until at least Monday, according to a Campus Safety alert update sent on July 23. The driver of the Waste Management truck failed to lower the bed of the truck after a delivery. 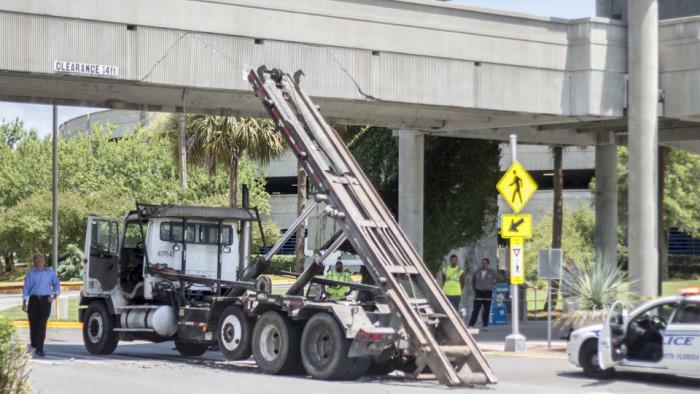 A Waste Management truck collided with the UNF Arena walkway on UNF Drive. 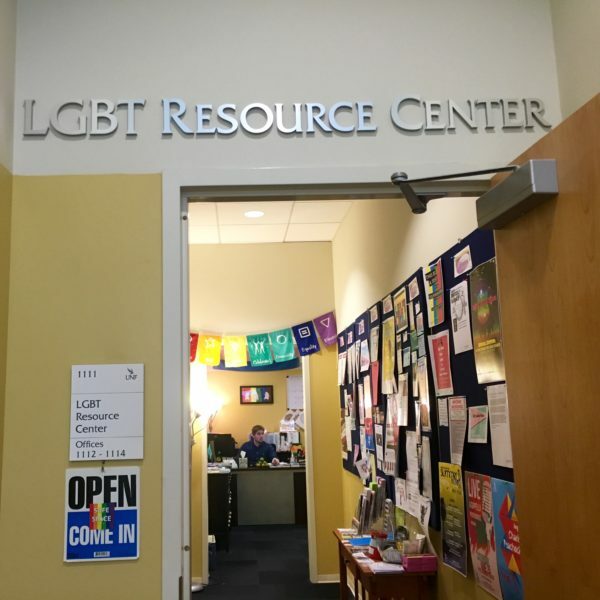 According to officials the incident occurred between 2 p.m. and 3 p.m. today. 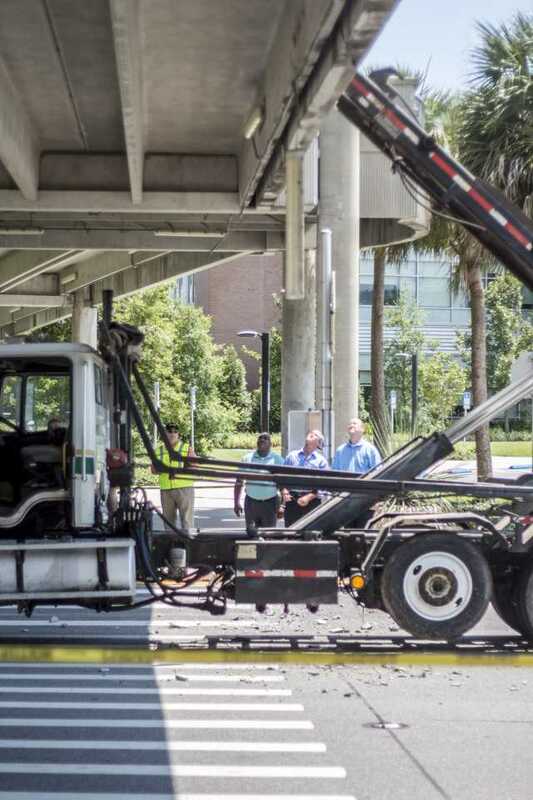 Traffic Officer Gus Carlson said the driver of the truck had dropped off a dumpster and failed to lower the bed, which collided with the overhead pedestrian walkway that connects the Arena Parking Garage to the UNF Arena (Bldg 34). At this time the overhead walkway and crosswalk are closed, and the section of UNF Drive along the UNF Arena is having traffic rerouted. 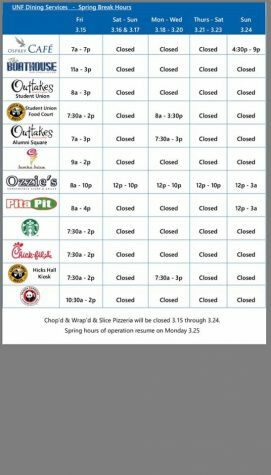 These areas may reopen after inspections from engineering. Spinnaker will update this brief as new information becomes available.